Allie met with Dr. Brown this morning. It was a regular scheduled GI follow-up. Things are going good and Allie is doing well. Last month she went in for a weight check and had lost weight. I'm proud to say, she's back up to the weight she was at in December, so that's good. I wish she would have gained but at least she hasn't lost any weight. Allie weighs 33.4 lbs. May 9th 2013 was the last time Allie needed to use her tube for any period of time (besides two weeks when school started) so I thought I would ask Dr. Brown what his thoughts are on possibly having her tube removed. He thought we were almost there. He thinks we can take it out as soon as school it over. He would like her to keep it in until school is over just in case she gets sick and doesn't recover fast enough and we need to use her tube. We are good with that because Allie's not quite ready to give it up just yet. She is quite attached to it even though we haven't had to use it in quite a while. Allie is still loving school and working very hard at it. She is struggling with her reading and math but she has started to receive additional reading help at school with the reading specialist once a day for 30 minutes. I think this will really help. In addition, I have been working with Allie every night on her letters and sounds. She is making great progress. The teacher can see that she is trying very hard and she can tell that Allie is frustrated because she isn't catching on as fast as others. Allie's confidence is low and she is quick to ask questions and say she can't do something. The school has recommended that Allie join summer school as an extra boost to help her with reading and math. I'm not a fan of summer school because I think the kids really need a break but Matt and I have discussed it and we both agree this could be what Allie needs. It's only for 4 weeks and she may love it. My hope is that helping her at home daily and also at school, we can catch her up to be at grade level. 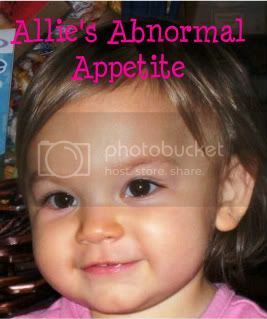 We have known that Allie would be behind slightly simply because of everything the poor child has endured. So, in perspective, Allie is doing amazing in school and learning at her own pace. She is getting the little extra help she needs and is making huge gains. To think she went into Kindergarten not even knowing her alphabet and now she knows all the letters and can read some words is amazing. We are so proud of her! 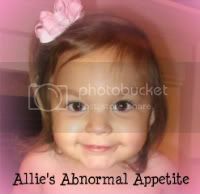 Here are a couple recent pictures of our little Allie.